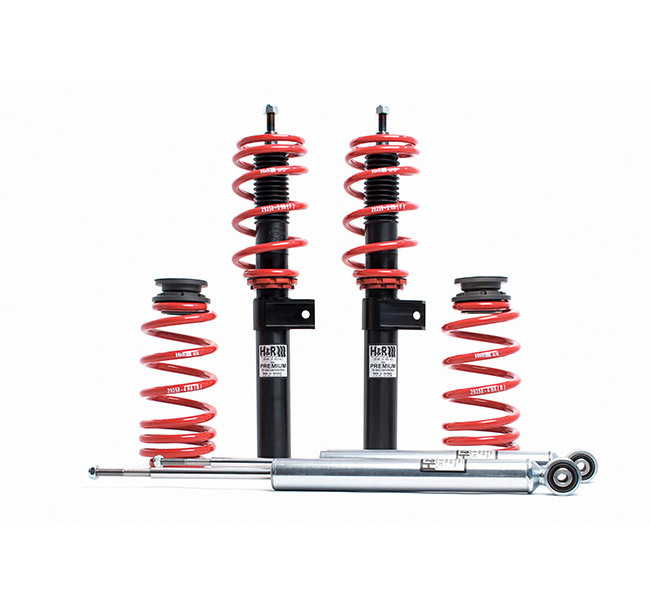 H&R Premium Performance Coil Overs have all the features of the Street Performance Coil Overs, with ultra lightweight aluminum front struts that reduce unsprung weight. Weight is reduced 30-40% over stock struts. Reduced unsprung weight improves suspension articulation, resulting in optimized performance and superb ride comfort. The aluminum struts are black hard anodized for strength and beauty - giving your vehicle a little German style. H&R premium coil overs have the best ride quality, while increasing control and reducing body roll.